We’ve all been there. Whether it’s a mixer in college, or a happy hour event with your local PRSA New Pro’s chapter, we’re all dealt opportunities in life to meet new people as it relates to our interest/hobbies or our career. For some of us, however, those opportunities aren’t always approached with sunshine and rainbows. Despite the importance these networking events have on our career and goals, some of us are a bit on the shy side, or are introverts. And quite frankly, when you’re starting out in your career heading to your first networking event, it’s normal to feel a bit awkward or uneasy regardless of personality type. I will tell you that after moving across the country for my first PR job in Las Vegas, I knew absolutely no one. I will forever be thankful for my first friend there, who also happened to be my roommate and now one of my dearest friends, who encouraged me to come with her to meet-ups with fellow PR professionals in the city. Now, I know we all can’t be as lucky as I was, obviously. But the takeaway here is to find that person whom you call a friend and ask them to join you at a networking event. You’ll feel more at ease and comfortable being yourself. Well, duh. Right? But there’s more to this. There are bound to be others just like you at this networking event who are also a tad shy. You can probably find them in the corner or hanging back from the crowd. Go up and introduce yourself and start a conversation. Fairly soon, you might find yourself with a new friend. And for help, consider these tips from Huffington Post on conversation starters AND closers for networking. When meeting new people for the first time, let your instincts kick in. Listen. Ask questions. And remember to smile, and more importantly, breathe. It’s easy to stare at your feet or into space when feeling nervous, so try your best to make eye contact. These simple, but sometimes easily forgotten gestures will get you further than you think in your networking. Consider how you want to present yourself, and what you want to say about yourself. Let’s skip the embarrassing story from grade school, and try being straightforward while maintaining your authentic self. This is probably the most important, as there’s nothing worse than meeting that cheese ball who is there with one goal in mind: taking home the most business cards. Instant ick factor. While practice won’t necessarily make you “perfect” in this case, it will calm your nerves if you have rehearsed with a friend who will give you honest feedback. Yes, face-to-face networking is best. Or at least that’s what most will tell you. However, I cannot tell you the number of relationships I’ve developed with media and PR professionals through the power of social media. My go-to? Twitter. 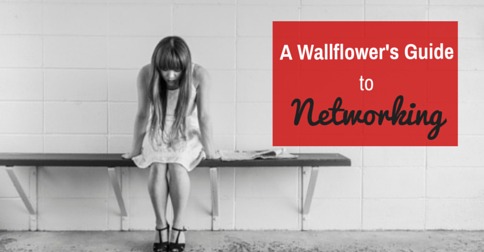 There are endless networking opportunities for a wallflower on social media. It takes a bit of the pressure off. A few suggestions to consider for this. First, attempt to engage in a Twitter chat every so often (PRSA New Pros monthly chats are a good start!). You’ll be exposed to other participants and immediately will have a shared common interest. Second, keep your bio updated on your Twitter profile. This includes your interests outside of the office. I love nothing more when I can tweet a fellow Ohio University Scripps alum (go Bobcats!) because I saw it in their profile and they shared something I found interesting. Thank you, Shakespeare for those remarkably brilliant words. But seriously, be yourself, and come ready to meet some new people. Are you a fellow introvert and have a tip to add for networking as a wallflower? Please share with me on Twitter @shandihuber. I’d love to hear from you! 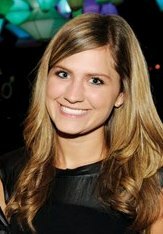 Shandi Huber is a senior account executive at Wordsworth Communications, apublic relations agency in Cincinnati, Ohio. An enthusiast for all social media platforms, you can often find her pinning her dream closet on Pinterest or posting photos of her new puppy on Instagram. Connect with Shandi onLinkedIn and Twitter (@shandihuber).